Please call ahead to schedule an appointment so that we may prepare for your arrival at the appointed time. If a scheduled appointment is missed for the second time, the client will be charged a missed exam fee ($50.00). For your protection, and that of others, all dogs must be on a leash and properly controlled while in the waiting area or exam rooms. All cats must be presented in an appropriate cat carrier or on a leash. Exotic pets must be presented in an appropriate carrier or travel cage. This is our own Private Web Site! We do not collect or give out any information to any third party vendors or internet businesses. No information will ever be disclosed to outside parties from us or our web site hosting company at www.vetmatrix.com. It's that simple! And we strictly adhere to this policy. 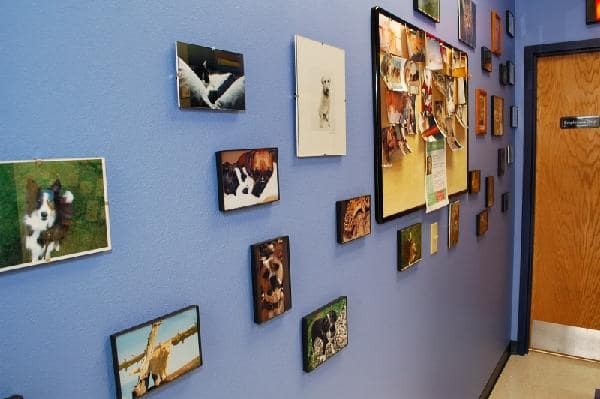 Arbor Ridge Pet Clinic recognizes the importance of protecting the personal privacy of its clients, its patients and those individuals who simply visit our site. Your privacy is also protected in our hospital. At no time is any information given out about the client or your pets without verbal or written consent from the owner. We require payment in full at the time that services are rendered. For your convenience, we accept Visa, MasterCard, Discover Card, debit, cash, and CareCredit. For first time clients dropping patients off for either surgery or in patient services we require payment of 50 percent of estimated charges at the time of drop-off. Payments are due at the time of services. Clients may pay for their services with cash, credit card (Visa or Mastercard), or CareCredit. Due to frequent issues with checks we are no longer able to take checks at this time. There is a $25 fee for all bounced checks that are returned to the Arbor Ridge Pet Clinic.